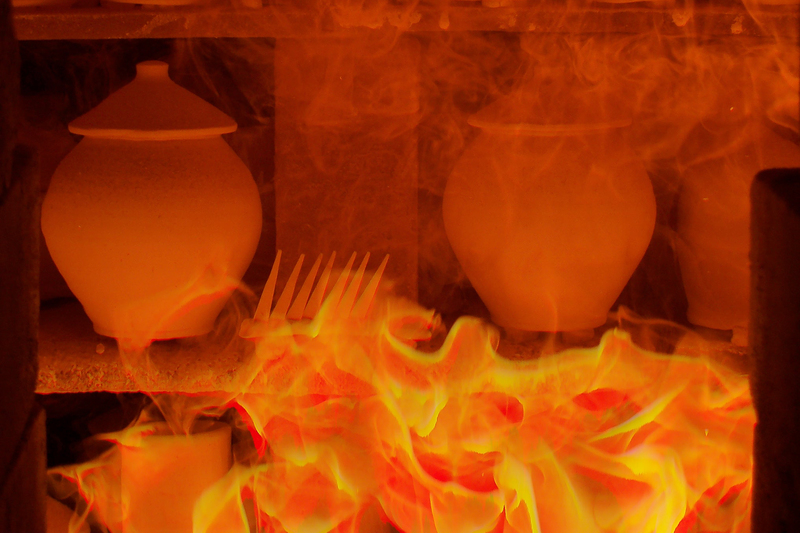 All of our work is hand-thrown. Made from a variety of durable stoneware and porcelain clays, our pots are safe for food and drink. Our pots are also microwave- and dishwasher-safe. Our pottery is inspired by folk traditions from all over the world, most notably the Orient, England, and the southern United States. These different traditions seem to have a common spirit of honesty and strength, which we try to instill in our own pots. We do not try to recreate what has already been done, but rather create a continuity where our interpretations of these old forms are fired side-by-side with less traditional shapes. We use many indigenous materials for our glazes, including kaolins and ball clays from southwest Minnesota, granites from Wisconsin, and wood ash from our home furnace. These hand-processed, raw materials lend more variety and character to the glaze surfaces than most commercially-available products. 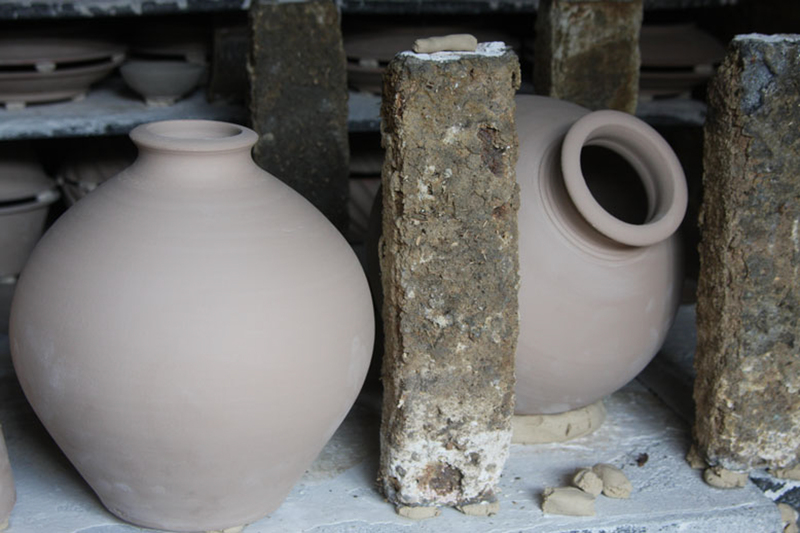 Our goal is to create handmade pottery that keeps the old idea of beauty in function alive with strong, wood-fired forms. In this age of technology, it has become even more important for people to have a tactile experience with something that has been created by the hand, for the hand. The glazing is done “raw” which means the pots have not gone through a preliminary (bisque) firing prior to glazing, and they are only partially dry when the glaze is applied. 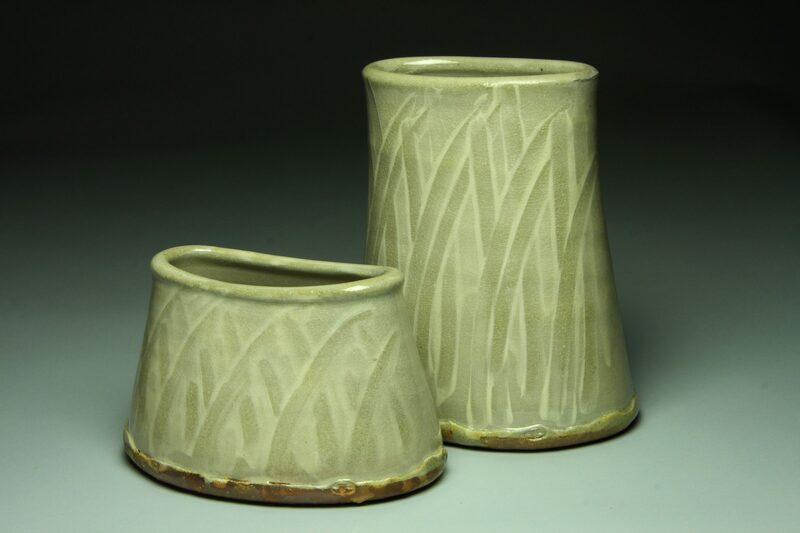 Raw glazing is the traditional method of glaze application, and we like to use the wet surface to decorate the pots with finger wipes and incising. 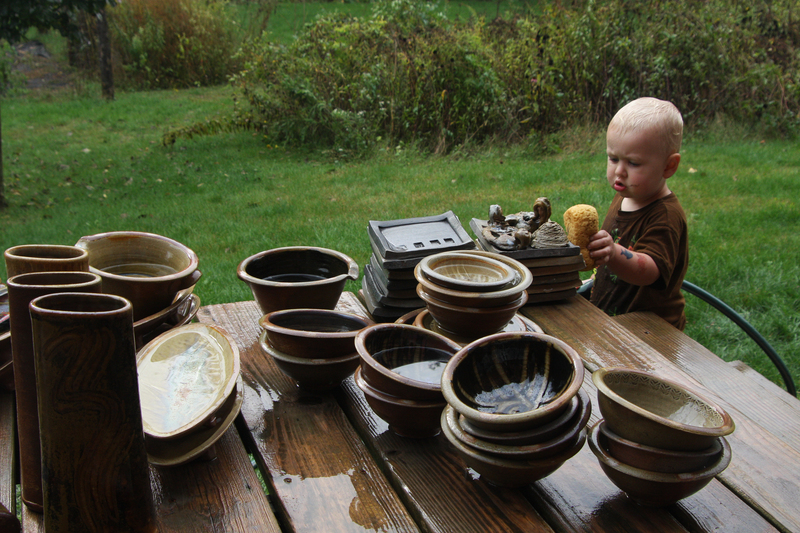 Shop now to bring some of our handmade, wood-fired pottery into your home or garden.